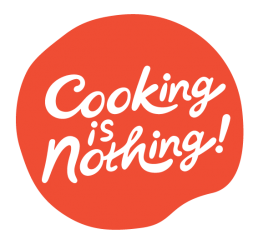 Cooking Is Nothing Is... For Beginners, Cooking Is Always Quite Challenging. Is A Cooking Starter Kit That Helps People To attempt To Cook Various Types Of Food By Providing Them With Selected Kitchen Utensils At A Reasonable Price.With This, You Can Be A Chef, Too! 요리에 좀 더 쉽게 도전할 수 있도록 여러가지 요리도구를 한번에 제공하는 요리 스타터 킷 입니다. 합리적인 가격의 '쿠킹이즈낫씽'을 통해 셰프가 되어보세요!